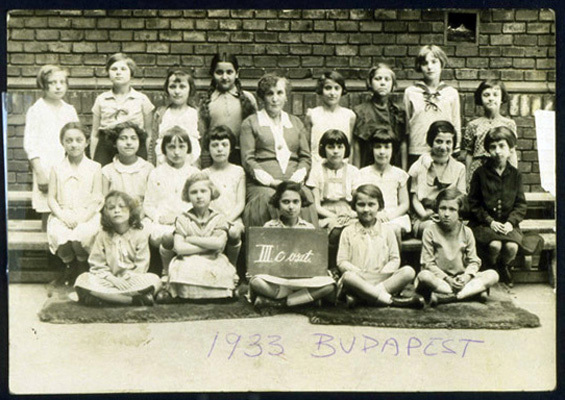 Katherine's school class at Bezeredi Strasse; she is fourth from the left on the back row. Katherine was one of six Jewish girls in her class. Budapest, Hungary, 1933.